Located on Franklin Street in the heart of the Adelaide CBD, Ban Ban opened its doors in 2018 and is the perfect place to go for a drink and a plate. Ban Ban brings authentic and tasty Korean dishes to Adelaide, along with a fun and friendly atmosphere to match. We loved the dreamy pastel décor, with huge neon lights and colourful high stools. Korean pop music was pumping and getting us in the mood for cocktails, great food and a good time! 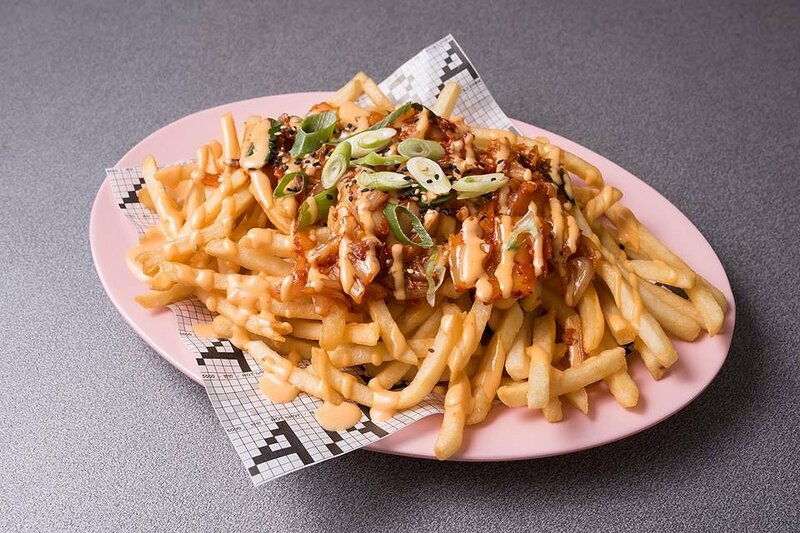 Adelaide Food Central were invited to taste their new menu items, that include loaded Kimchi Fries, Vegan Fried Chicken and array of delicious Bingsu desserts. An unusual but surprisingly my favourite dish of them all, these delicious savoury sticks are perfect as a side or to share. 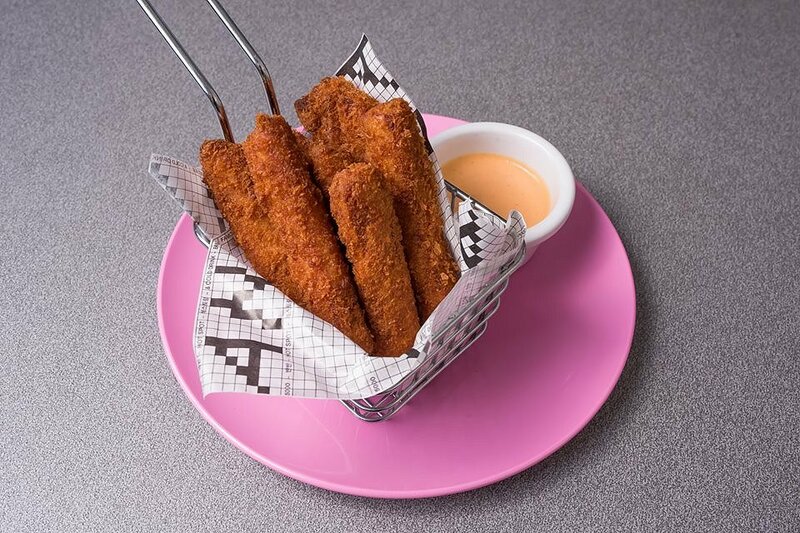 Soft, salty flavours from the Spam complement the crispy breaded coating, whilst the creamy spicy sriracha mayo ties the whole thing together. Loaded fries are a firm favourite and these Kimchi fries are no different! A traditional side dish from Korea, Kimchi is salted and fermented vegetables, usually cabbage and Korean radishes. This sweet and sour Kimchi is layer on top of crisp shoe-string fries and drizzled with spicy mayo. We absolutely love things smothered in cheese! 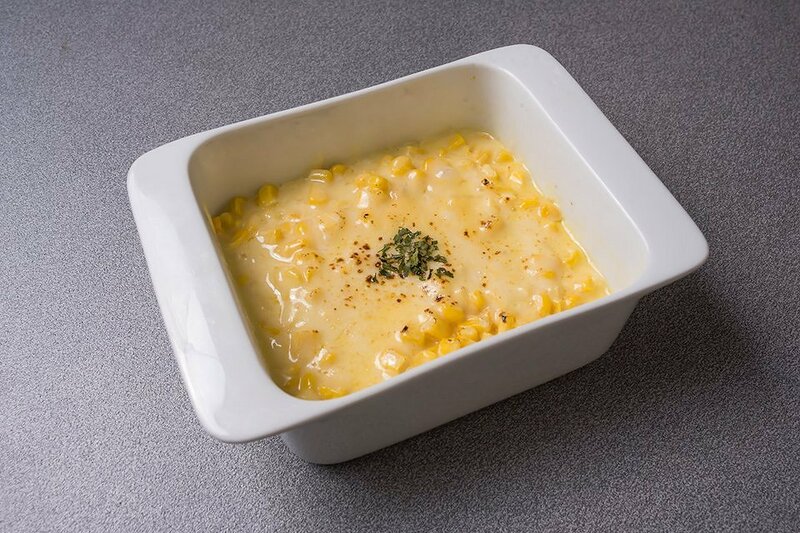 Sweet and juicy corn has been baked and coated with melted cheese. Buttery and creamy, this dish is warm and comforting. 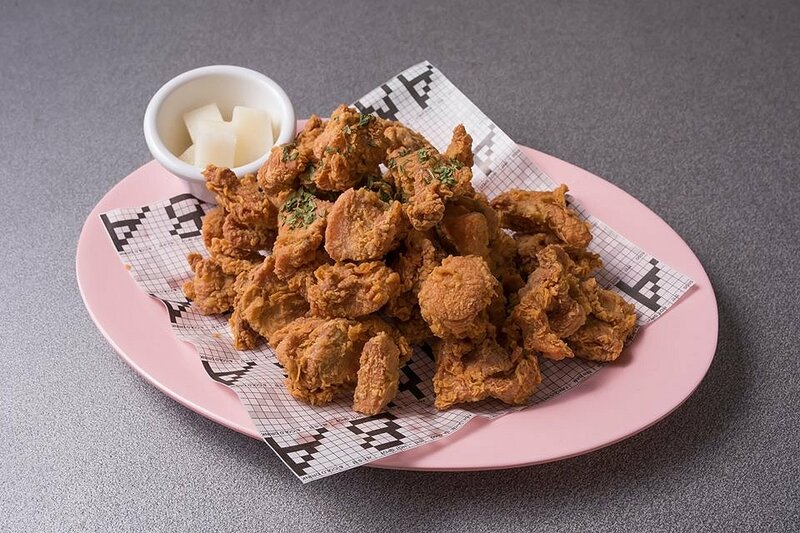 This is a Korean fast food staple and has made its way to become one of Adelaide’s! If you’re a heavy spice lover, this one’s for you. 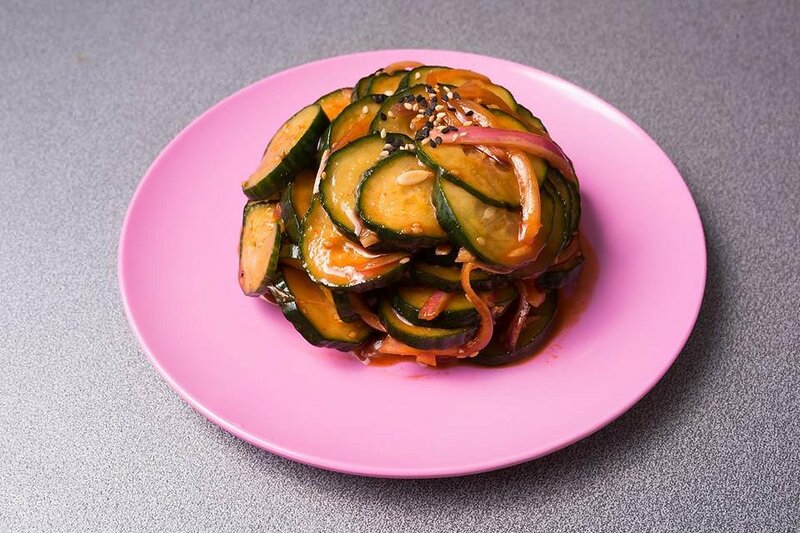 Pickled cucumber is stacked in a tower and drenched in heavy spice. Crunchy and tangy, this cucumber salad is a great accompaniment to the crispy fried chicken or the creamy cheese corn casserole. 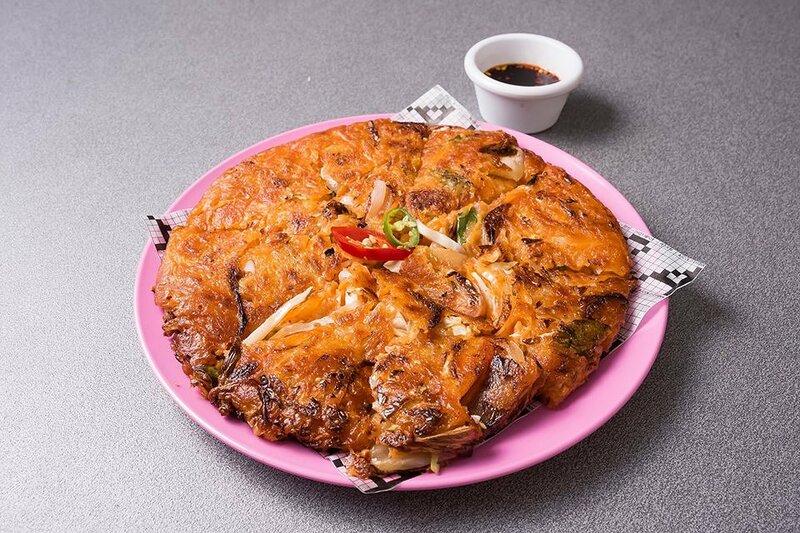 Thick and fluffy, this Kimchi pancake was packed with crunchy veggies and a sweet dipping sauce. Cut into generous slices, this pancake is great to share. We loved the tangy onion and garlic flavours along with the sweet spiciness from the dipping sauce. BanBan’s fried chicken is ultimately the star of the show. We couldn’t get enough of these tender, boneless chicken bites in a crunchy coating. The coating is amazingly light and seasoned to perfection. With an array of delicious sauces to choose from, it’s very hard not to love BanBan’s signature dish! We could hardly tell that this “chicken” was vegan! Made from seitan, which is insoluble gluten, it is a perfect as a meat substitute. The texture is virtually the same as real chicken and covered in the same coating, so we could hardly tell the difference! 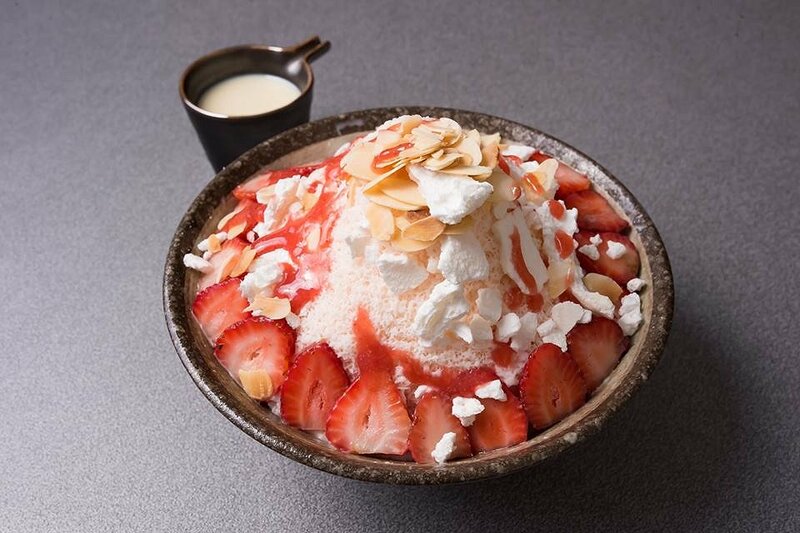 Bingsu is a very popular shaved ice dessert in Korea. 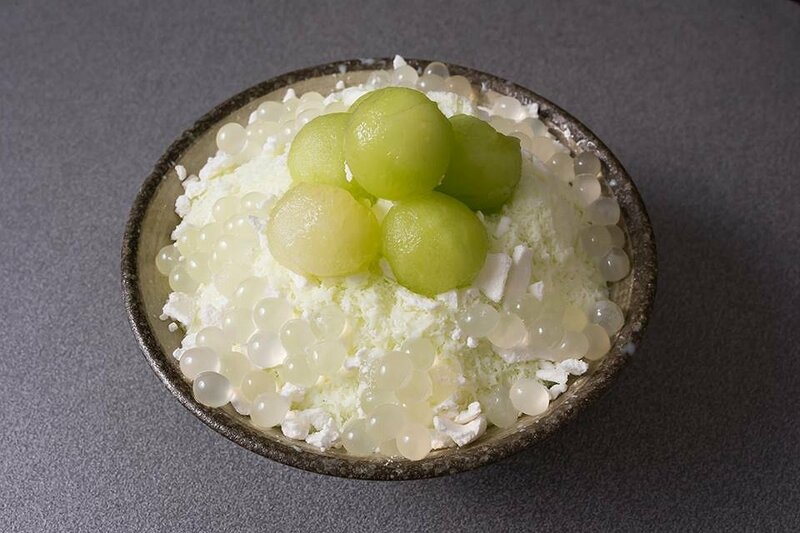 Perfect for summer, this dessert is snow-like in texture and oh so creamy! Topped with fresh strawberries, honeydew melon, nuts and thick condensed milk, this dessert is like ice cream on a whole new level! These new desserts launch on Monday, 21st of January! Ban Ban is open Monday to Thursday from 5pm-10pm, Friday for lunch at 11.30am-2.30pm and then for dinner from 5pm-late, and Saturday 5pm-late. Thank you so much to Ban Ban for having us, we absolutely adored our visit for their gorgeous food and lovely staff!